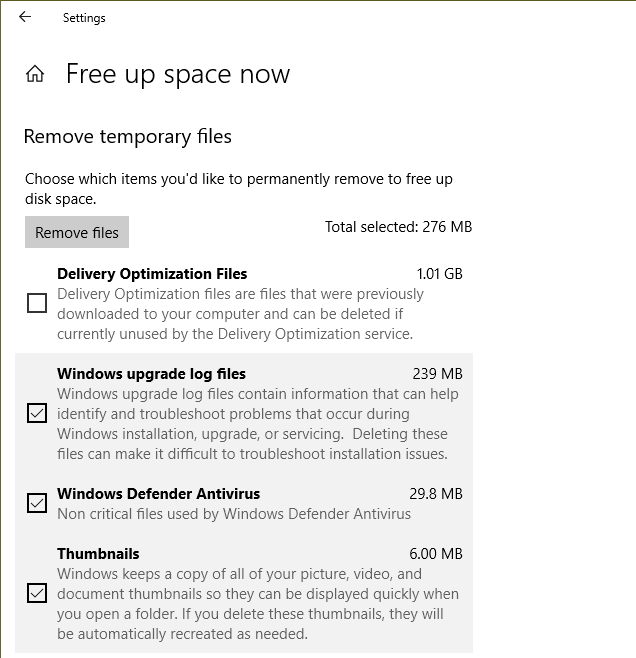 With the Storage Sense feature introduced in Windows 10, cleaning up clutters to free up storage space is a lot easier than before. 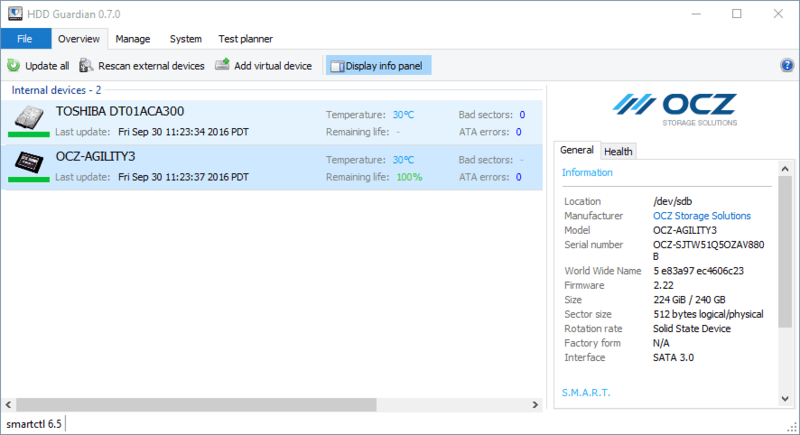 It’s a behind-the-scenes feature designed to be a silent assistant working on your behalf without the need to configure it in the first place. Another word, once enabled, the clean-up process is going to be quietly running automatically in the background. Go to Settings > System > Storage, switch on the Storage Sense feature. A few things start to kick in automatically. 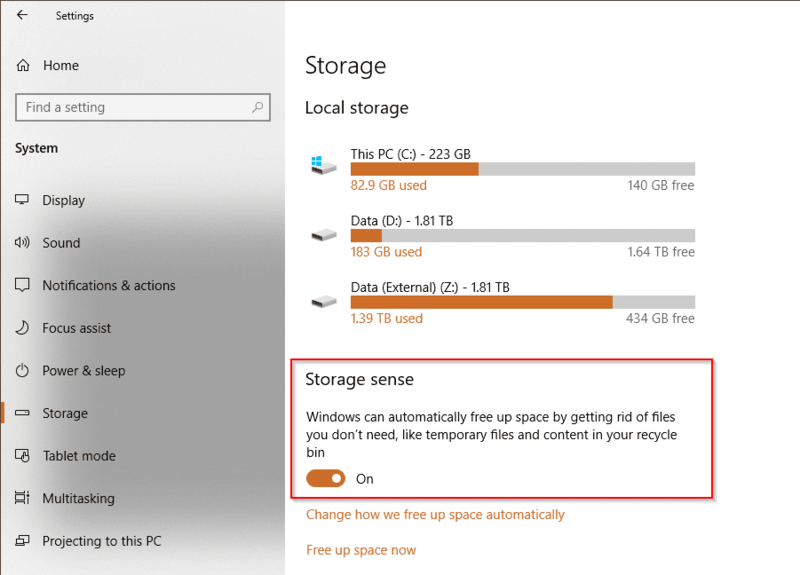 Since Windows 10 build 17720 and later, Storage Sense has the capability to automatically free up disk space by saving older, unused and locally saved OneDrive to the cloud, turning them online-only files. Microsoft calls this process “dehydration” but it’s just the auto-mode of OneDrive’s File-On-Demand. 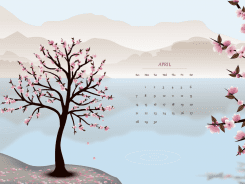 By default, any files unused in the last 30 days will be eligible for being taken to the cloud. 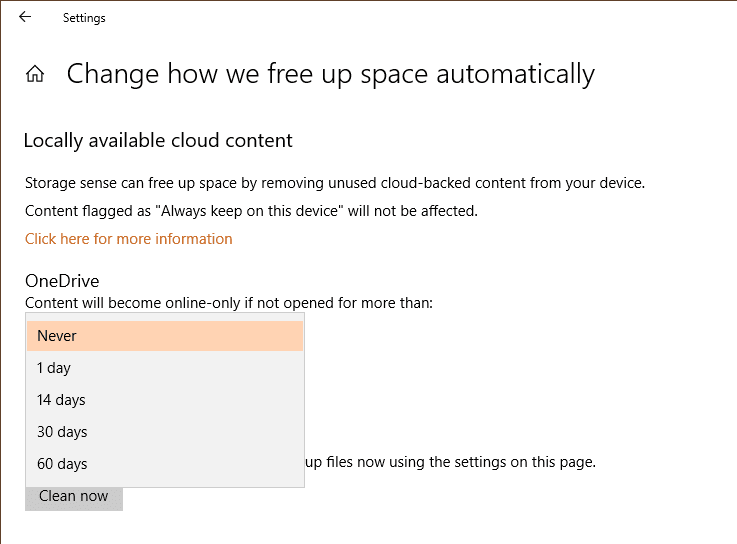 But you can go to “Change how we free up space automatically” section and change that behavior under Locally available cloud content section. 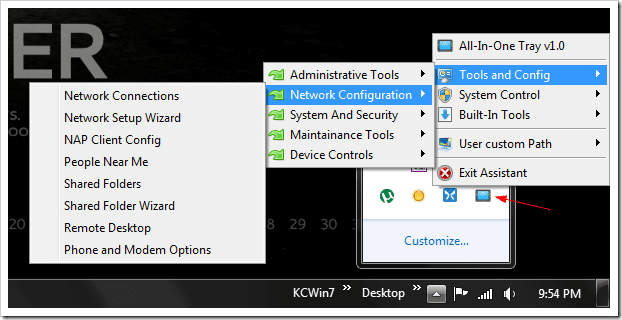 Dated Windows update temporary files …and more. 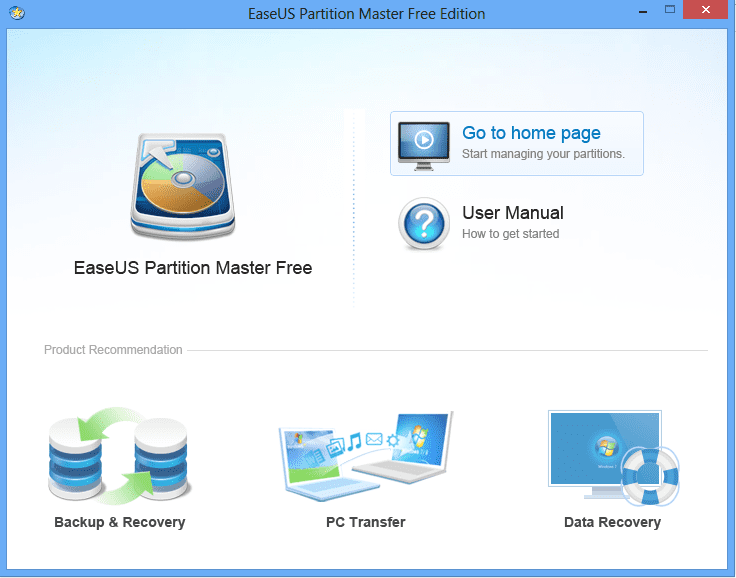 And you can always click the Free up space now button to manually clean up the clutters on your computer. Lastly, with this new feature in place, the Disk Cleanup feature that exists in older Windows system is being deprecated. It will still be retained in Windows 10 for compatibility reasons but Storage Sense’s functionality is a super-set of what Disk Cleanup provides, according to Microsoft.